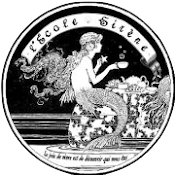 The Tea Traveller's Societea's first Summer Sleuthing Series starts today! 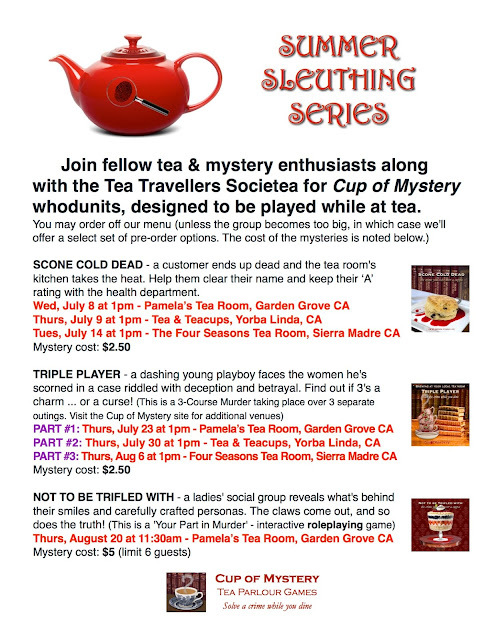 In addition to the Cup of Mystery whodunits listed above, we're hosting a Sherlock in Paris meetup on Thurs, Aug 13 at 10am starting with a visit to the Sherlock exhibit at the Discovery Cube in Santa Ana followed by afternoon tea at Paris in a Cup, just a few miles from the museum. Plus, Clotted Crime, Sun, Aug 16 at 3pm at Tea & Teacups in Yorba Linda CA. "Murder is on the menu when a milk-curdling scream rings out at the live taping of the cable television show, A Matter of Manners, and what’s more, the killer is someone among us. Play detective, play a part, or even play dead!"